That is right spring cleaning is an essential part of our in tune lives . Spring cleaning is what keeps our lives running smoothly and even grephaxs has a bit of spring cleaning going on . Obviously this article is not about cleaning your attic out or your basement but rather spring cleaning of technical values . So what do I mean by this well think of it every day or night 24/7 we use our equipment like but not limited to computers , laptops , routers and cell phones . On top of this equipment use we also use the software that runs our equipment . If we take a moment to think about spring cleaning in the Technical sense it brings the great opportunity to uplift the performance of what ever equipment you utilize whether it is a X-Box , laptop or computer either for work or play or for that matter for some both . This spring cleaning should be used as a magnifying glass to bring fourth better performance on both ends of the spectrum from hardware to software . On the software or the hardware end using this type of a magnifier you should be able to tell what types of updates are necessary . Large companies have a tendency to stagnate in the software area using the old term if it is not broke do not fix it and sometimes this attitude can lead to security issues or the company just falling behind . Software updates and changes happen at an alarming rate of speed and the same can be said for hardware . Cleaning equipment is easy but to update software or to not is the hardest to determine or upgrading hardware both deserve appropriate home work especially if you oversee a company making billions . And yes I know a few of my readers do . Spring cleaning can happen at anytime the reason I am using the term spring is no matter if you just write or produce videos or own a multi million dollar company this is meant to spring you forward . Springing you or your company forward to bigger and better things . Lets bring your stocks and or earnings threw the roof using proper discovery tools and terms and enhance your engagement . Be progressive move forward be the leader you can be in your field love what you do . So lets talk software and marketing this can be a tough area for some depending on the size of the company but also for the single entity . The main thing that upholds us in this area is our websites without a strong well maintained website most of our marketing techniques can fail . If your paying to much for web or APP development I have the perfect suggestion to get those costs in line . Dynamic Bit Technologies is a company dedicated in making dreams come true they work constantly to bring what is needed in web-development also at times building none profit websites . 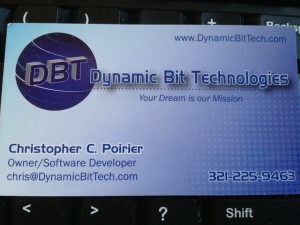 From counseling to constructing there website speaks for itself so without further delay straight out of there archives I give you Dynamic Bit Technologies . Here at grephaxs we are constantly advancing we have advanced to Facebook , Twitter and linkdin as well as other places on the web . One of our most notable advancements is youtube . Cleaning your equipment is necessary to keep things running smoothly giving the ability to keep temperatures at a normal functional rate . This accomplishes a couple of things if your equipment ( computer , routers , gaming system ) overheats it can fry the hardware worst case scenario . If the equipment dose not get fried the least case scenario would be it is under performing and no longer meets the energy efficient ratings given wen the equipment was first purchased . So how do you clean such equipment ? Good question first I would like to remind you there should be a video for your equipment or device on youtube but in general things come apart and go back together in a similar noted fashions . So being that said sit back and enjoy the next few videos straight out of the archives of grephaxs that we have produced that fit into spring cleaning equipment . What do I mean by this well obviously we are all busy using our software to do this and that and everything works great or dose it ? Some people and or companies only update wen they have to but there are others whom grab updates as they come out but to be honest it is like the toss of a coin . On the one hand update right away and be ready to understand new settings or wait and here what the word is by keeping your ear to the ground . Even grephaxs deals with this type of spring cleaning and springing forward in advancement for example the software we write with and our video editing software we use kdenlive . Sit back and enjoy the couple of videos straight out of the archives of grephaxs as we show advancements in to kdenlive 15.08.1 . Maybe you have discovered some hardware needs to be replaced for either advancement and or to achieve new goals . Well grephaxs has done some of that as well so sit back and enjoy these next few videos straight out of the archives of grephaxs on upgrading hardware . The bottom line is wen growing and advancing there is no bottom or hight to who you or your company can become . 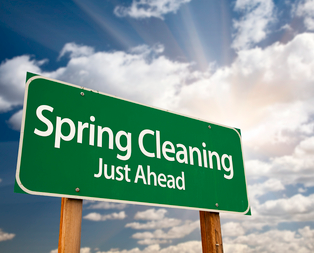 Do the spring cleaning to spring forward and advance it only takes a moment to review your companies situation or your situation and take the appropriate action to expand . And expanding in the right direction whether just cleaning your equipment or expanding your on-line presence this will make the differences and bring the higher consecutive dollar in to your pocket or uplift your company .